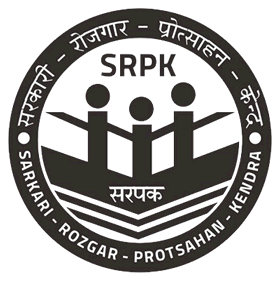 SRPK dispatches the SRPK Card to every respective user after verification of Address and activation of his/her account. SRPK is committed to deliver your SRPK Kit accurately, in good condition, and always on time. SRPK delivers SRPK Card, all the documents, parcels and other articles exclusively through INDIA POST SERVICE using Government Registered or Speed Post under vide contract BNPL/ITSILVER/JAL/66 between Itsilver Innovation and Infotainment Llp and INDIA POST. In Case, INDIA POST is unavailable to deliver the Parcel or Any article to user then SRPK will dispatch it again without any shipping charges to the user after confirming and verifying address. We currently deliver across India. Our shipping and delivery lead times vary by destination and India Post Service. VPP Service: The value payable system is designed to meet the requirements of persons who wish to pay Activation Fee for SRPK Card and Account Activation sent to them at the time of receipt of the SRPK Card and Kit at their home. The Postman/master from your nearer Post Office will deliver SRPK Card or Kit at your home, then you have to pay Activation fee to Postman/Master at the time of delivery. NOTE: SRPK will not send any SRPK Card or any article to any user through VP without confirmation and approval by the user. So user have to place the Order through SRPK User panel by selecting VPP Payment option and accepting T&C. If user believe that the Parcel or Article, or if the packaging is tampered with or damaged, before accepting delivery of the goods, please refuse to take delivery of the package, and contact Customer Care.